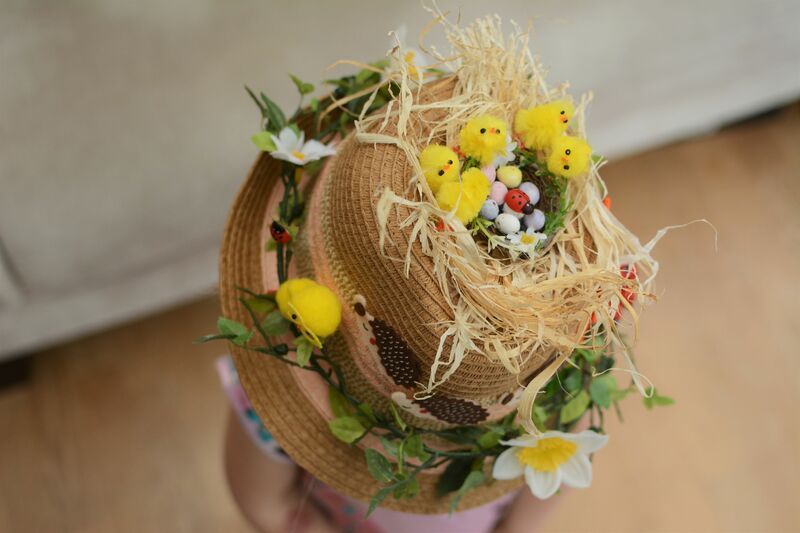 When it comes to Easter Bonnets, well craft in general actually, I am all about the understated. How to make something easy and effective with the help of children and perhaps maybe even beautiful whilst you’re at it and I am all ears! I am also a big fan of letting children make things themselves, which, I hear you say, may not go hand in hand with beautiful and understated! Well I am here to tell you that it can…with the right persuasion. And by that I mean surrounding them with the right tools for the job. 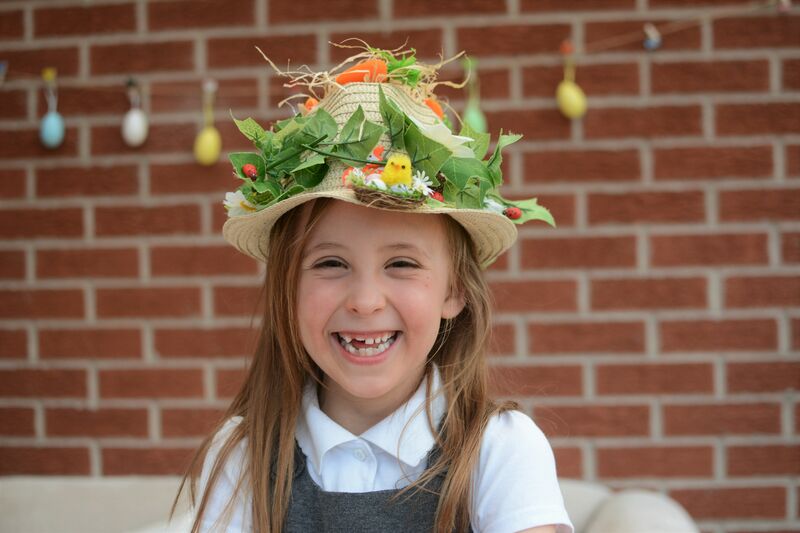 My girls love any kind of craft so this year when Eva needed to make an Easter Bonnet for school (which of course meant Roma just had to make one too) I decided to buy all the bits and bobs and let them create their own masterpieces, and that they did! 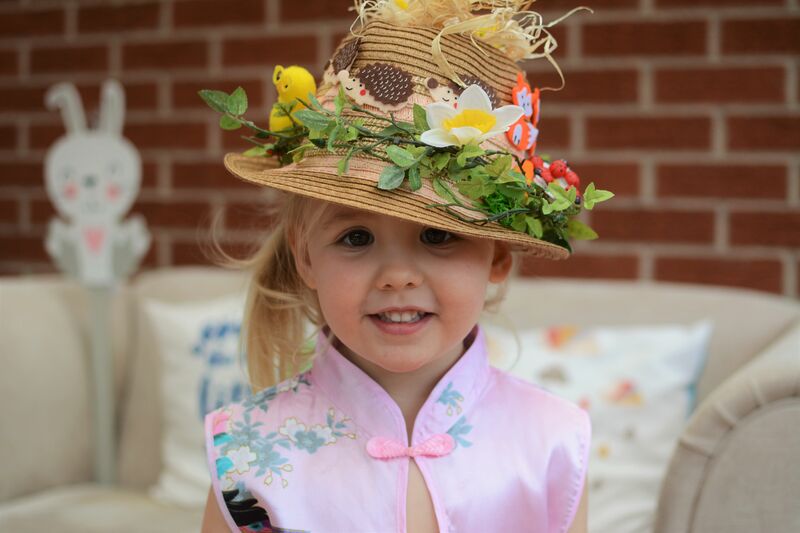 I bought two straw hats from primark which were £3 each and some Easter/woodland themed stickers and accessories from various shops over a few weeks leading up to Easter. There are so many places that stock this kind of thing now, pound shops, supermarkets and craft shops like hobby craft. I got some new this year but also had some in our Easter box from years gone by (the joys of keeping things back!) I also got some straw to make a nest and some mini eggs, these were the cheap variety that I will be honest are not at all good to eat but tiny and perfect for sticking in the nests. 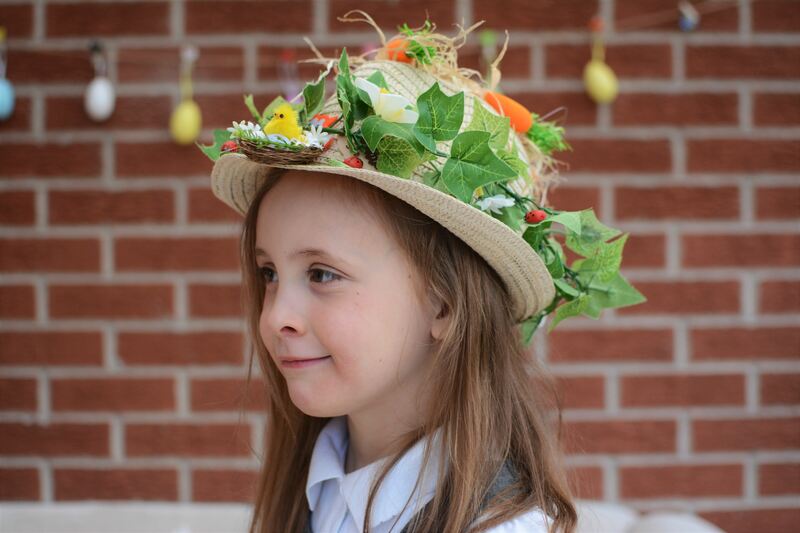 The base of the bonnet is simply the hat and then some foliage wrapped around it, no glue needed just make a circle from whatever foliage you have, these were bought from dunelm. Eva had artifical ivy that I once used for a grecian themed hen do and Roma’s is just generic leaf one she chose. These can be then lifted off afterwards with no mess or fuss. Armed with all the bits and bobs laid out and a pot of glue and they went to town. We use ordinary pva glue which is brilliant and holds really well aswell as being easy to peel off afterwards. The fact that it also dries clear is very good for super glue heavy Roma…well what 3 year old doesn’t adore getting covered in glue and picking it off! 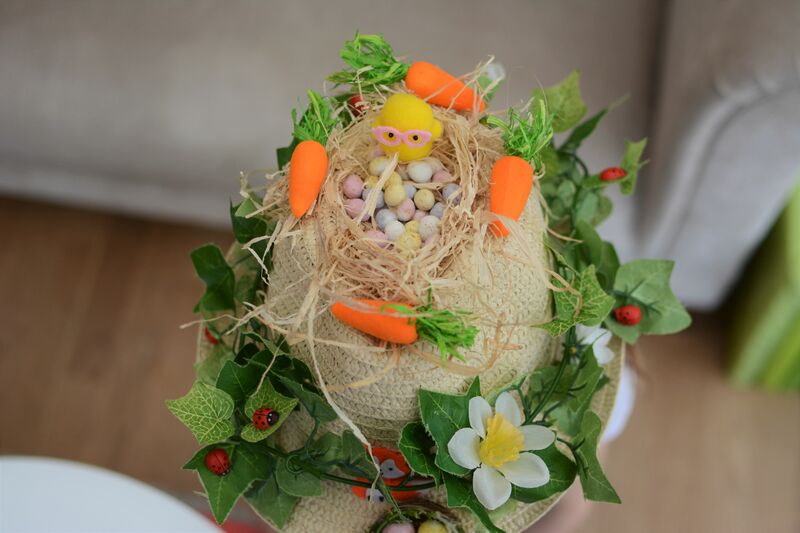 they added artificial flowers, stickers, intertwined carrots and little chick feet and then of course built the nest on top. I also love the addition of these tiny ladybirds which are actually stickers, Roma decided to put all her allocation on one flower! 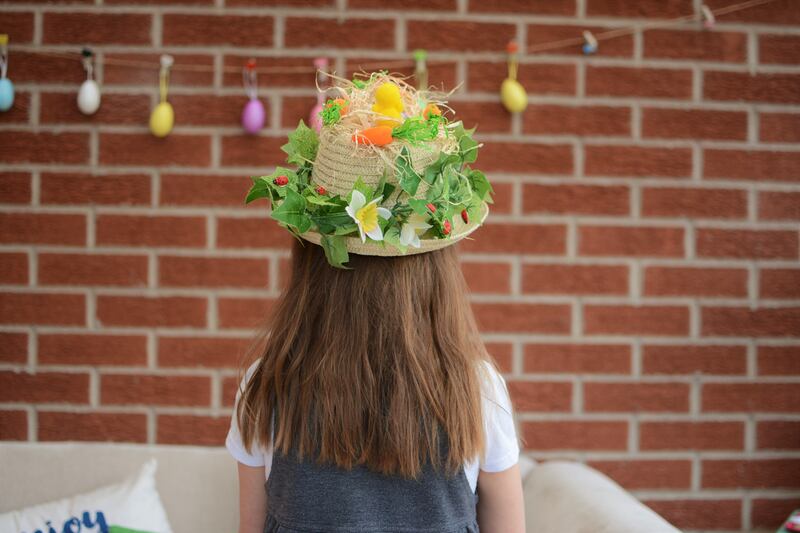 Now they might not be winning any awards for creativity but they had a blast, it took all of about 15 minutes, they were really proud of what they made and once Easter was over it was all dismantled and able to be reused for garden summer hats and Easter craft of the future, so really you cannot go wrong. 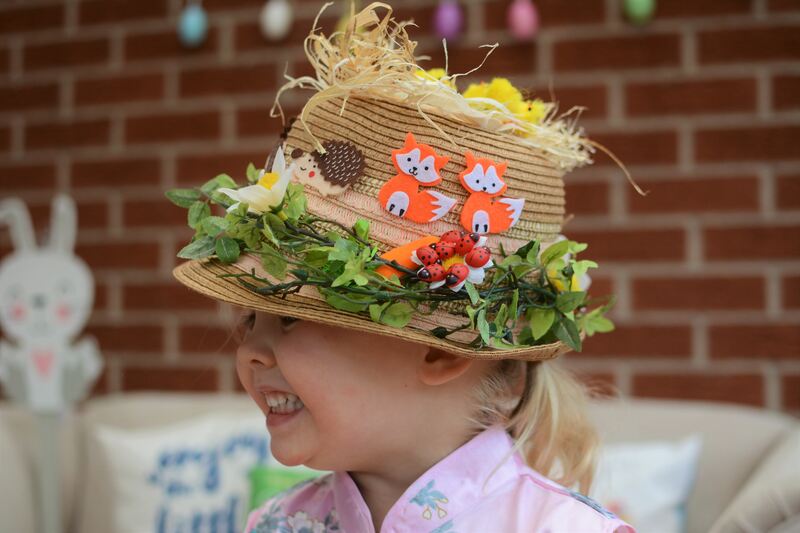 It also made me proud to sit around at the Easter bonnet parade at school, which was super cute, and see Eva is something she made entirely by herself, whilst also having Roma on my lap who insisted on wearing her to it too! Thankfully Eva found it funny rather than thinking she was upstaging or embarrassing her. Phew!